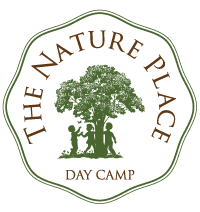 One of the special things about The Nature Place is that it is a family-run camp. It would take a complex diagram to explain all of the connections, but the short of it is that Ed Bieber and Scott Dunn (friends for 30 years), have children by their sides helping run camp (two of whom are married!). You can expect to meet many of these family members at our camp open houses, year-round events, and certainly during the summer. If you call during the year you will most likely reach Scott Dunn, Ayla Dunn Bieber, or Emily Selover (not related by blood, but in spirit) on the phone.